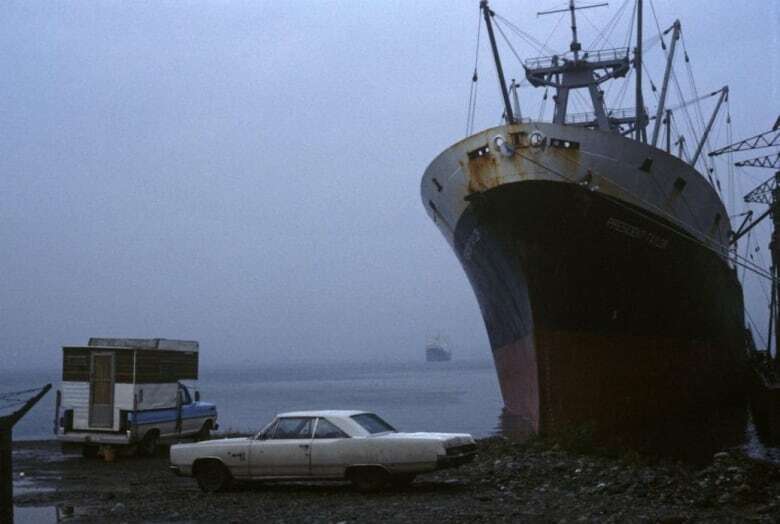 Photographs can take you back in time and that's certainly what Greg Girard's photography show does: bringing viewers back to Vancouver before it was launched on the world stage with Expo 86. Photographs can take you back in time and that's certainly what Greg Girard's photography show accomplishes: returning viewers to an era in Vancouver's history before it was launched on the world stage with Expo 86. 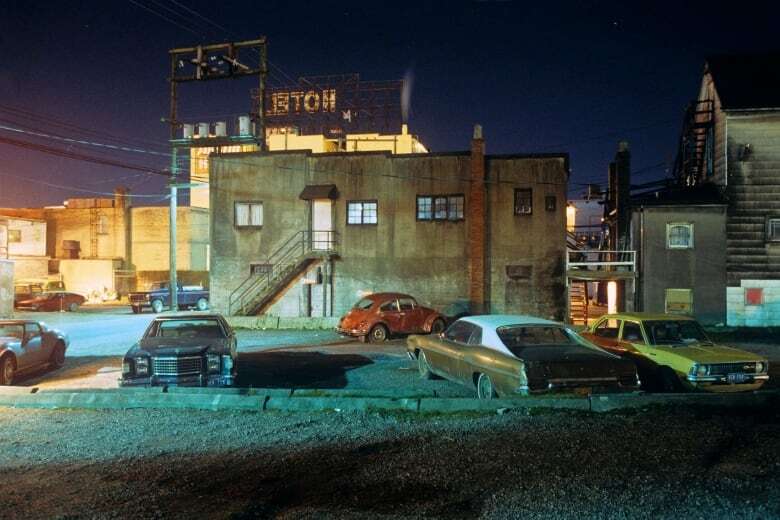 Girard was a teenager in 1970s Vancouver when he first began capturing photographs of the city. 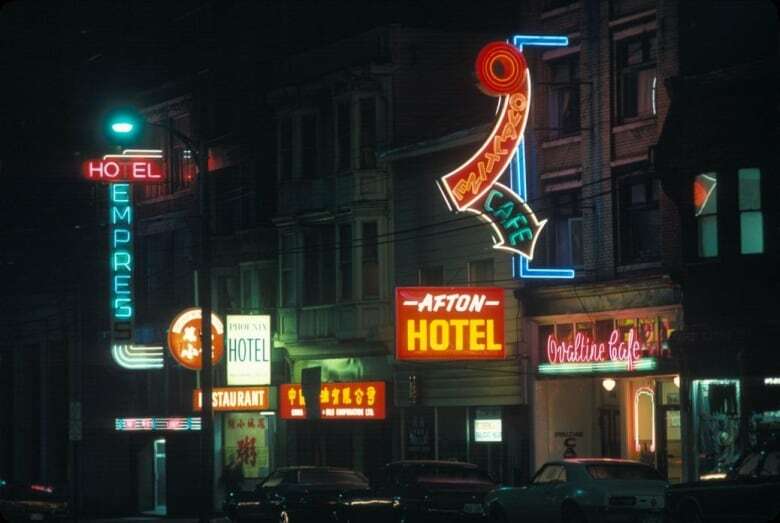 Now, nearly half a century later, he has rediscovered the images and put them on display at the Monte Clark Gallery in his exhibition "Under Vancouver 1972 to 1982." "They are pictures of a different time," Girard told CBC's North by Northwest host Sheryl MacKay. 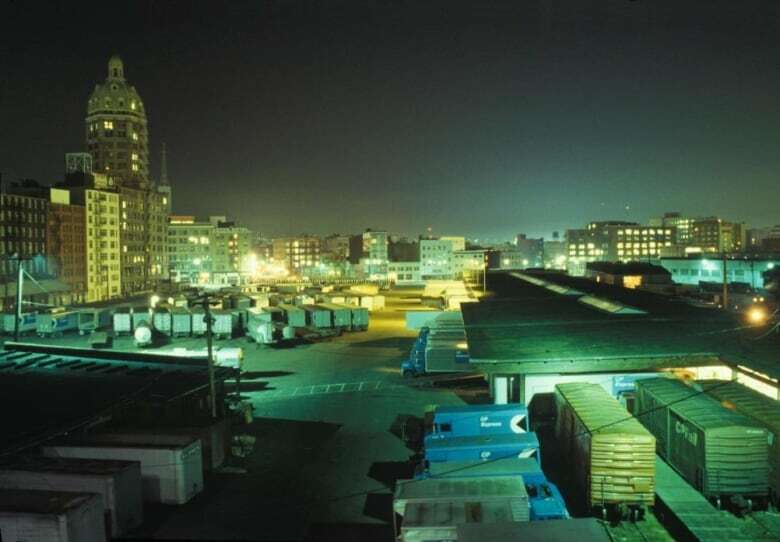 Back then, Girard said, you could walk along the city's waterfront at night and watch the shipping container terminal and the fishing docks. Only occasionally would a customs or police officer stop him and ask what he was doing. "That was a real part of the city, the working waterfront," Girard said. "The city was connected to it in a way that it's not now." He described parents taking their children to the port to show them the container ships and people walking their dogs or riding their bicycles along the waterfront with all the movement of work in the background. Girard said the atmosphere at the port seems foreign to him now. "The city has pursued a different path in creating this other identity of an urban resort and recreational residential waterfront rather than a working waterfront," he said. Girard left Vancouver in 1982 and moved to Asia, where he lived in Hong Kong and Shanghai for 30 years. He recently returned and found it a changed city. 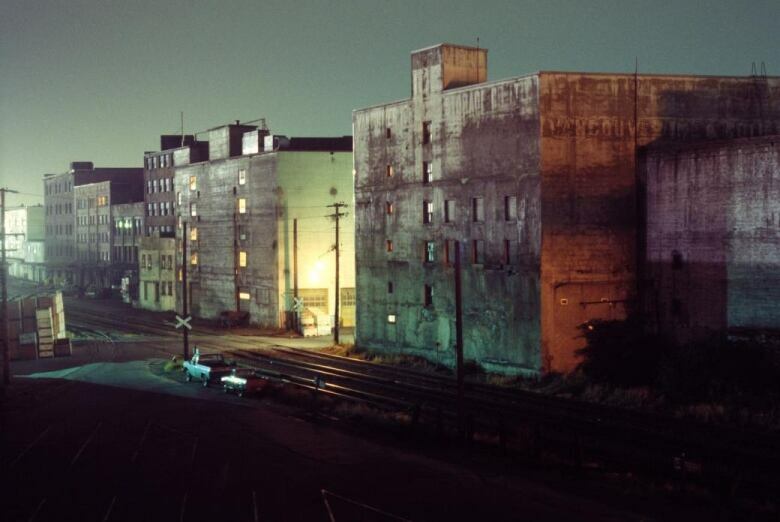 The shift in the nature of the waterfront, where Girard used to roam with his camera at night, is poignant. Girard has travelled the world with his camera, on assignment for publications such as National Geographic Magazine, and he's published books of photographs of different cities across Asia. His first venture as a photographer exploring the world, though, was downtown Vancouver. He grew up in Burnaby and, as a teenager in high school, would travel into the city with his camera to explore. "It felt a long way from downtown Vancouver in those days and at that age," he said. "On weekends, I would stay in a hotel downtown — a cheap hotel, $3.75 or $4 a night — and walk the streets to try to meet people and make pictures of what that world was like." Girard said he tried to capture things other people didn't notice. Photographs of cars, now some of his most popular images, were the epitome of overlooked beauty. "At the time, these were the cars of the day, they didn't have the retro appeal that they do now," he said. "But parked by themselves at night, in an unpaved parking lot, it was a visual shorthand that let you look at the things that were maybe overlooked or less lovely about the place." Girard said he never planned to take photographs for the sake of posterity. "But that's what happens with photography, it becomes a document whether you intend it to or not," he said. 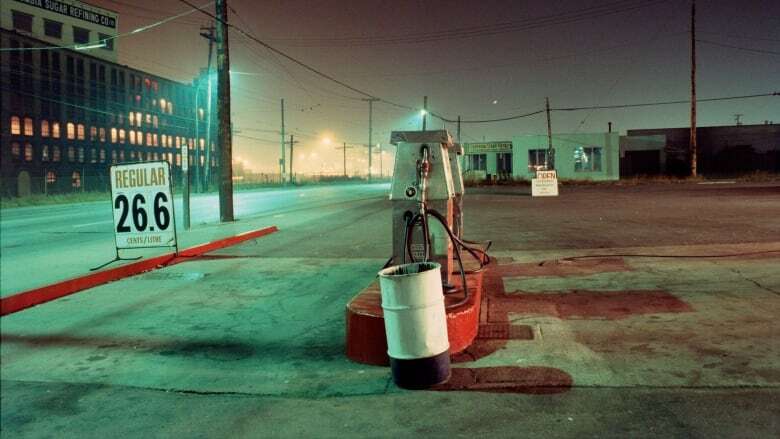 Girard's photography exhibition "Under Vancouver 1972 to 1982" is showing at the Monte Clark Gallery in Vancouver until May 27th.